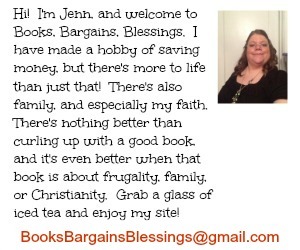 Books, Bargains, Blessings: My turkey sandwich Headache. Welcome to another edition of "How do I do these things?". I really wish this was a series I didn't need to write, but like developing TMJ from cleaning my purse, I've learned I have to either laugh or cry at the things I do, and personally I prefer to laugh. The other day I bought some mesquite smoked turkey for sandwiches. This morning, I decided to fix a sandwich and have chips for breakfast. I open the drawer in the fridge where I put it. I couldn't find it. I took everything out of that drawer. Cheeses, Mom's ham (and I hate ham. It is one food I can't stand to eat, so that was not an option for my sandwich), hummus, hot dogs. . . I asked Mom, who was in another room. She claimed she hadn't done anything with it and she didn't know why I couldn't find it. I inserted myself deeper into the fridge, still looking. Not realizing how far inside the fridge I was, I raised up, and really clonked my head against the bottom of the freezer door, which was closed. I had to sit down. After seeing stars, even with an excruciating headache, I continued taking everything out of the fridge in search of my turkey. I was not going to let a lunch meat get the best of me. After a little bit, I said, "I can't find it anywhere. I can find your ham, but I can't find my turkey." Mom informed me that was not her ham, she had eaten it. In reality she made mesquite smoked turkey grilled cheese sandwiches. When I informed her of that she said "I didn't think they tasted quite right." And I didn't feel like my head felt quite right, so I went back to bed. A turkey sandwich did get the best of me after all. Sorry Jenn, but I got a really good laugh out of that one!!! Something I really needed today!!! !